July 2007 – Route 79 Journal . Cameraphones are great. I would say that wouldn’t I? But really, they are. Because you get much more spontaneity with images of everyday life than you would with a “proper” cam. And spontaneity brings with it a whole new world of observation that you wouldn’t get as readily if you had to take an expensive digicam out your pocket, take it out of it’s protective case, turn it on, wait for it to boot, hold it up, compose the frame, shoot, switch it off, put it back and get on with whatever you were doing. Last year I took this picture from the top deck of the Route 79 bus as it wended it’s way down Preston Road towards Wembley. It was only when I reviewed it on my Flickr pages later that I noticed the geometric progression in the way in which people were standing at the bus stop. This morning I noticed a similar sort of effect; admittedly less influenced by “psychology” but more an accidental symmetry in the way that people (including myself) were waiting to cross the road on Ealing Broadway as I had just gotten off the bus to make my way towards Ealing Broadway station for my train to Slough. 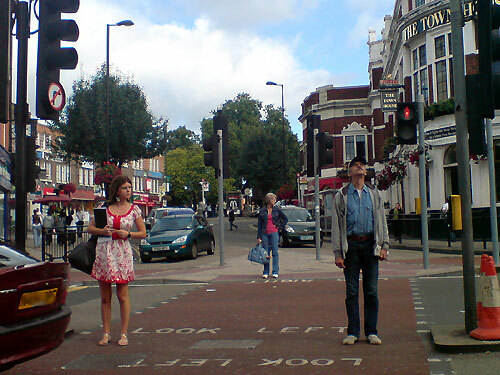 An accidental symmetry in the way people are waiting to cross the road. 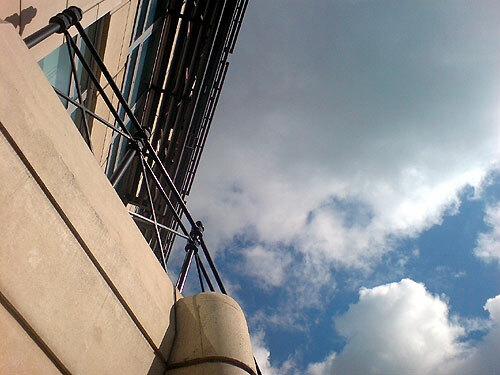 Whilst walking towards my office in Slough, West of London, the other day I whipped out my cameraphone and pointed it randomly and haphazardly towards the sky before pressing the capture button. The sky above my office. Little did we know that beautiful clouds like this would wreak so much havoc by spilling untold torrents of water all over our country the very next day, causing flood and misery to many. For those of us fortunate to have escaped the worst of it, it is a reminder of how something so beautiful can be so vicious. Mother Nature knows no bounds. 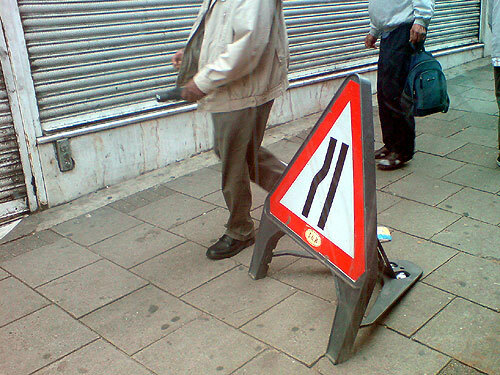 There is one thing Londoners do not do. 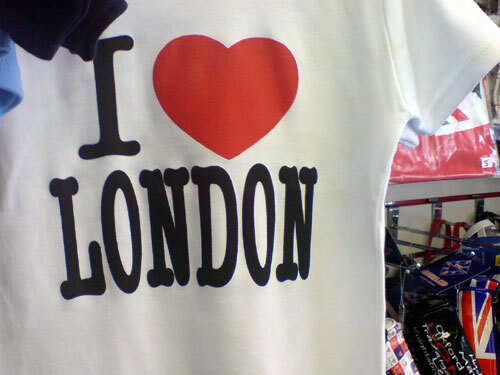 And that is to step into a London souvenir shop. I mean, why would you? We tend to turn our nose up at the seemingly chintzy stuff that tourists buy. You know, those street signs, model telephone boxes and policeman’s helmets etc. Self-effacing perhaps? Possibly. More like we just live here and see no need for them. Anyway, I forced myself into one yesterday as I was returning home from a lunchtime trip to a sushi cafe in Soho. All those times I ignored it. This time I paused to think about it. Because it’s actually a collection of very different towns, villages, suburbs and districts, each with it’s own unique character. A lifetime of discovery to be had! There’s nowhere like it anywhere else in the world. Because the buses are ace. The double-decker ones that is. Because of the food; you name it: London has it. Because the parks are the best in the world. Because of the entertainment; the shows, the cinemas, the music, the festivals, the art, the museums, London has ’em all, and the world’s best of them too! Because of its history. Because of the tube, the trains, the stations and airports; publicly we hate them, but secretly we love them! Because everywhere else in the world is just a suburb of London; an Oystercard journey away. And all of this is because of its people. I leave London almost every day (for work), and it’s always great to return. Despite all the ugly things about it. Because most of all; it’s my home. 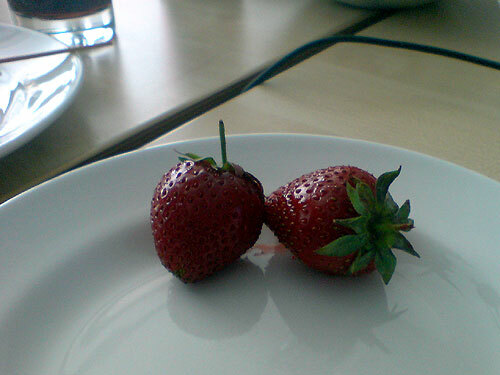 There’s something about the British Summer and strawberries. Although you can get them all-year round; from either USA or Spain etc. and at sometimes exorbitant prices when they’re not in season over here, it’s the home-grown ones that seem to taste the best. Some people like them with dairy full-cream. And some really like them served with pure white vanilla ice-cream. Personally, I like’em on their own, just like that. Overly ripe and melty in your mouth. The Route 79 bus passes through Ealing Road in Wembley. It’s probably the slowest portion of the route travelling home on a Friday evening. Not only is it the crowds of people who get on and go only one or two stops before getting off again that seems to make it so, the road itself seems to always have something being done to it which causes a huge backlog of traffic all the way from Alperton to Wembley High Road. And since there’s no bus lane, it means sitting it out in the heat and seething mass of humans with grocery shopping bags.